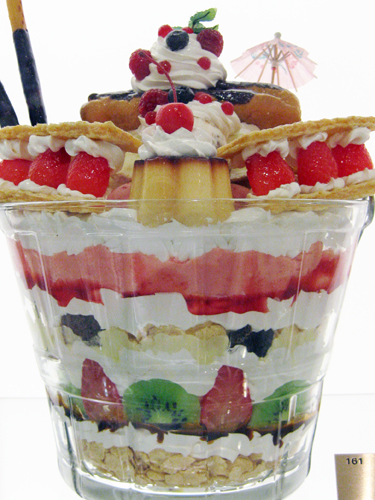 For one thing, there were lots of abnormally large and elaborate sundaes around. 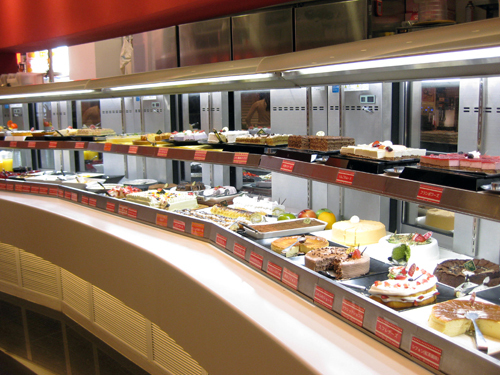 This one includes two kinds of ice cream, red beans, a macaron, a fig, a cinnamon cracker, sponge cake, and various other (presumably) tasty items. 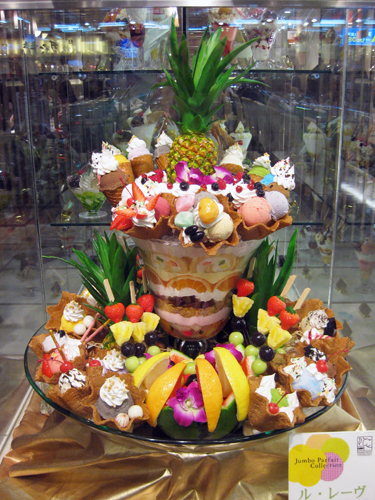 It’s nothing compared to this ridiculous, enormous, $500 fruit and ice cream creation, though. 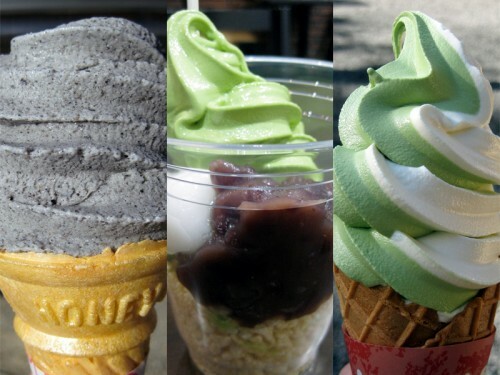 Soft-serve ice cream is also everywhere, and there are some great flavors (and some crazy ones). 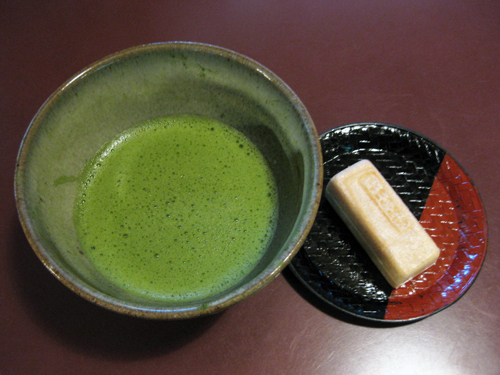 Green tea ice cream is delicious, of course, and I also liked the black sesame flavor. 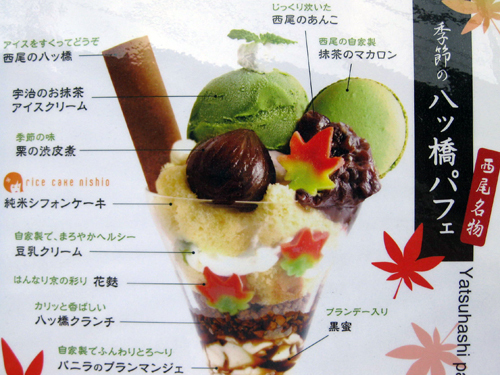 The photo in the middle is green tea soft serve on top of red beans and rice krispies. 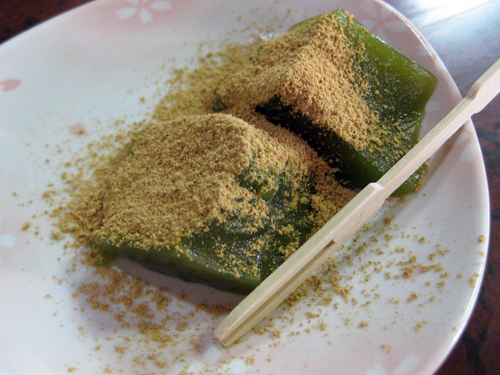 Tea sweets – green tea jello-y stuff with soybean powder on top. 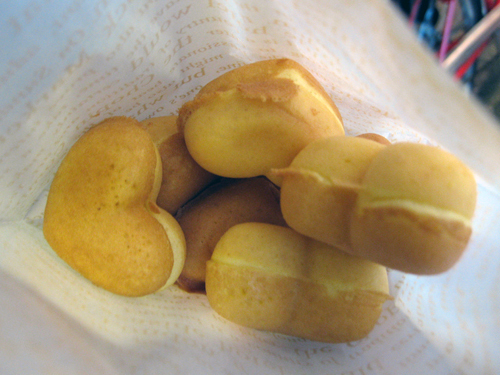 Mini-waffles (maybe not entirely accurate, but they make them in special waffle irons). 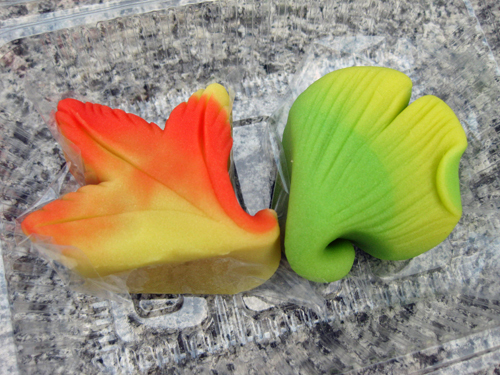 Delicious (and a great hot snack when we were freezing). 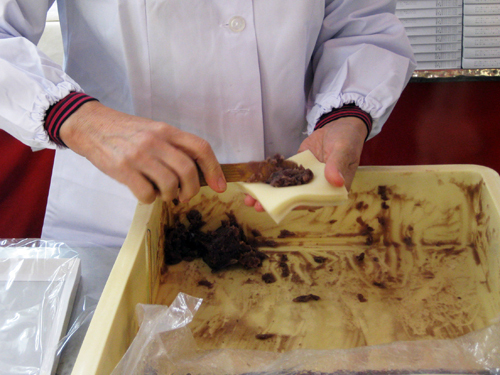 Sweets Paradise is an all-you-can-eat dessert restaurant in Kyoto (thank you, internet, for leading me to this wonder). You pay approx. $15 and you get 70 minutes to stuff your face with cake (they have some pasta and salad items, which are good to cleanse the palate, but that’s pretty much all they’re good for). Eating there was a terrifying, beautiful, and humbling experience. 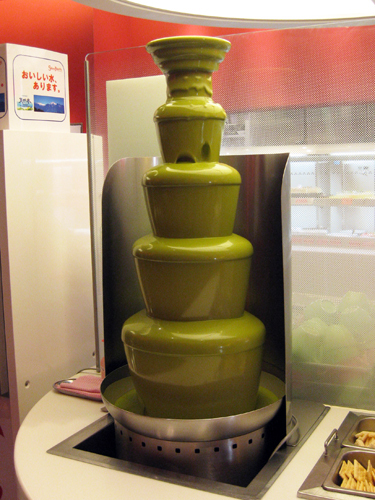 They have a green tea-flavored white chocolate fountain. 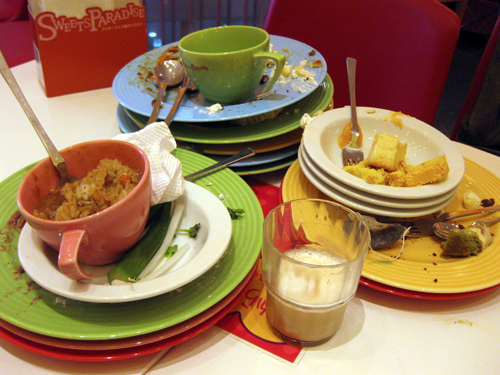 …We definitely got our money’s worth (these are three peoples’ plates, btw. 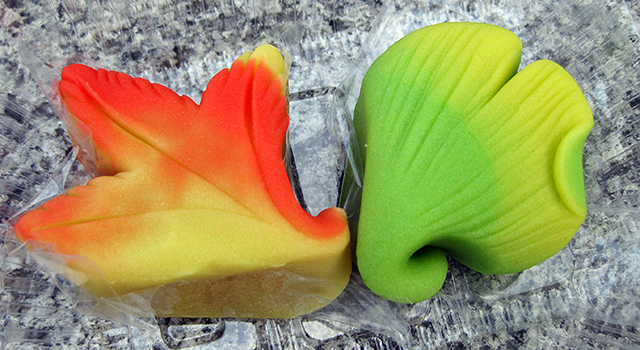 I love dessert, but even I have my limits).